The Festival from NECTA is a floor standing vending machine with a difference, offering you the chance to provide fresh snacks like fruit and yoghurts, and even meal options such as sandwiches and baguettes. This innovative setup makes it the ideal solution for a wide range of different sectors, including hotels that might want to provide ‘on the go’ meal options for clients, and any busy cafeterias that want to take some pressure away from the kitchen. Described as a ‘true automatic canteen’ which can offer a ‘fresh food feast’, the Festival vending machine certainly delivers on its promises, with a layout that offers some really impressive customisation options. Fit it with 8 or 10 drums, each featuring up to 36 compartments, and you’ll have space for small snacks and drinks as well as sandwiches or even fresh packaged salads. It can also hold baguettes up to 270mm long, and plated meals with up to a 9-inch diameter. As people become more conscious of healthy eating all the time, this is a welcome evolution of the more traditional snack vending machine. 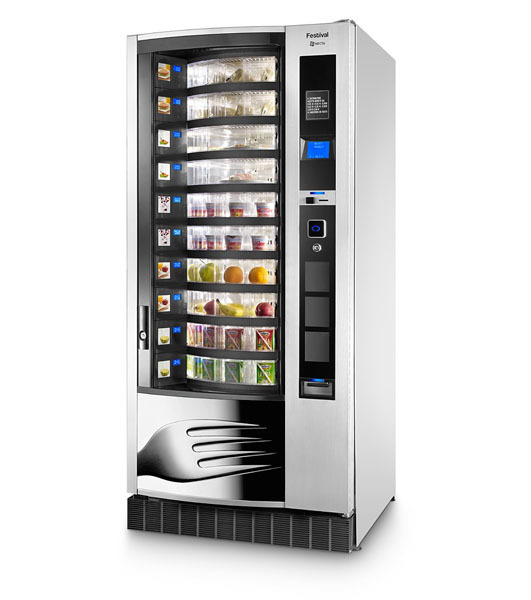 The Festival floor standing vending machine has been designed to keep your produce fresh, with a temperature control system that will ensure your stock doesn’t go to waste. It also comes with a hygiene control monitor, vital for maintaining food safety standards, and has achieved an impressive A+ energy rating. This means that you don’t have to sink costs into powering the machine, making it a cost-effective option for any business. 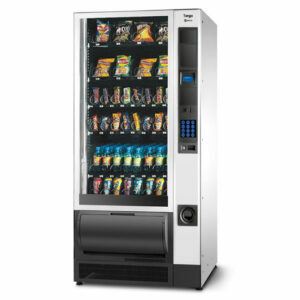 We also love how easy it is to operate this snack vending machine, with simple but high-performing software that makes setting prices, changing products and monitoring stock easier than ever. Your customers will also find the Festival vending machine incredibly simple to use, with a friendly interface that allows for direct selection and an effortless user experience. 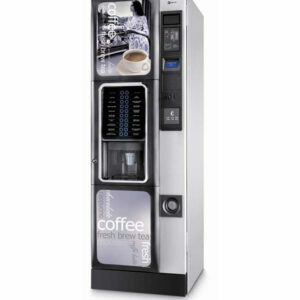 While functionality is always the most important factor when choosing a vending machine, we know that businesses also need to think about how their premises look. 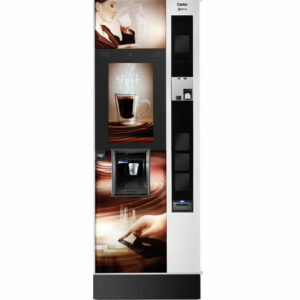 With a very modern design that matches well with NECTA’s range of coffee machines and other snack vending machines – also available here at Forward Vendors – this is a stylish machine which will fit seamlessly into your existing interior. The food and beverages themselves will also look great, with clear drums that allow customers to see exactly what they’re buying. With fresh fruit and delicious sandwiches on display, your company will benefit from a sense of freshness and vibrancy. Some businesses can struggle to give their employees a good range of lunch options, and using this catering machine means you can offer a delicious variety of lunch options at a reasonable cost, even if you don’t have the space or budget to open a cafeteria. This is a modern solution for the contemporary, fast-paced working life, and can also be an excellent solution for offices that have staggered lunch breaks, allowing you to cater to every member of the team with ease and efficiency. 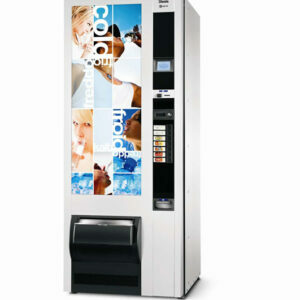 Overall, the Festival floor standing vending machine is a diverse product that can suit a wide range of different purposes, from the corporate office to the commercial hotel. You choose the products, you set the prices – and you can even program the machine to give a free vend if that is what’s required. 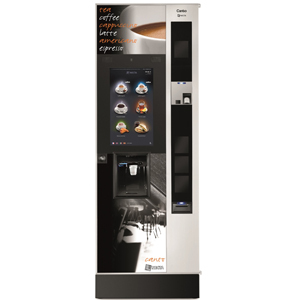 The relatively compact size makes it easy to find space for these machines, while your operators will thank you for choosing a vending machine that’s so simple to use, clean and program. All told, this is a very practical machine well-suited to the modern world.